For those who were skeptical about Kanye West’s recently announced foray into real estate (“I’m going to be one of the biggest real estate developers of all time. Like what Howard Hughes was to aircrafts and what Henry Ford was to cars,” he humbly said.) here’s proof that Yeezy might want to stick to rapping and Kardashian kuddling. 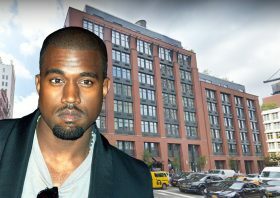 TMZ reports that Kanye has just sold his Soho condo at 25 West Houston Street for $3 million, even less than the $3.14 million he paid for it.